You consider that the Heart Lake is one of more popular hikes for day hikers and backpackers; 40% of all of Yellowstone’s backcountry overnight trips are to Heart Lake. 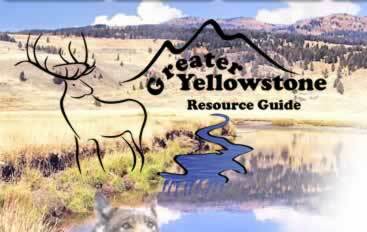 A 2,150-acre backcountry lake nestled at the base of Mount Sheridan in Yellowstone National Park. Heart Lake is in the Snake River drainage and is drained by the Heart River. Heart Lake trailhead is located near the south park entrance off of the West Thumb Rd. This lake is only accessible by foot or horse and takes the good part of a day to reach. At elevation 7,461 feet it is quite high and you can count on a paucity of oxygen for your hike in. 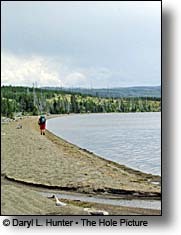 Heart Lake can also be reached via the Trail Creek trail that traverses the southern shoreline of Yellowstone Lake or via the Heart River trail/Snake River trail from the park's southern border. Heart Lake was apparently named sometime prior to 1871 for a local 1840s hunter, Hart Hunney, a fact that was later verified by Hiram Chittenden. In 1871, Captain John W. Barlow thought the name was Heart Lake because of it shape and the name became its official name. 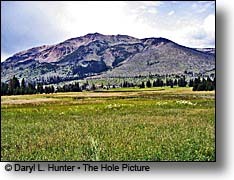 During the Arnold Hague Geologic Surveys, Chittenden petitioned Hague to change the name back to Hart, but Hague thought that Heart Lake was named because of the lake's shape and refused to change it. The fishing at Heart Lake is tremendous because not only is because it big but because the eight mile hike is more than most people are willing to do to catch some fish, hence the lake is quite full of fish and big ones at that. Bears and the occasional man are the only predators that fish this lake. 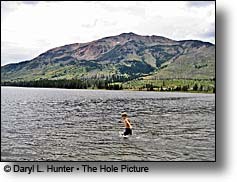 Heart Lake produces cutthroat trout, lake trout, and mountain whitefish. Lake trout were introduced in the 1890s. Angling is restricted to fly fishing or artificial lures. All Cutthroat Trout and Whitefish must be released. There is no limit on the number of Lake Trout harvested, as they are not endemic to Yellowstone. The Yellowstone Park record Lake Trout is 42 pounds was caught in Heart Lake. The lake holds cutthroat and lake trout that average 18 inches. Mountain whitefish are also present, but they aren't as large. Anglers willing to pack in a float tube will do best, but you can also wade from shore. Sight casting to cruising or rising trout can be effective when the cutthroats are feeding on caddis or Callibaetis mayflies. If you're after lake trout, we suggest a sinking line and a size-2 streamer that imitates a cutthroat. 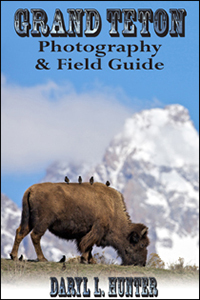 Camping is in designated sites; from the ranger station the nearest campsite is about ¾ of a mile. The farthest on the west side of the lake is about four miles. Camping is available to people with reservations only. You may obtain reservations prior to hiking at any ranger station for free. Most of the campsites are near the lake and do not permit fires. Several of the campsites and the ranger stations have pit toilets. All of the campsites have poles to hang food to keep them out of reach from grizzly bears. You are required to use these poles. Heart Lake is the perfect place to get in touch with wildlife and out of touch with people and technology. If you are a sightseer, hiker, backpacker, fisherman or any other type of person willing to do some work in order to see a beautiful lake untouched by any machines of man. The lake is clean, non-polluted, and full of fish. 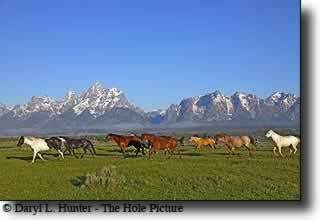 The Absaroka Mountains and Mt. Sheridan are beautiful, and the trail that takes you there has some nice thermal features. The Heart Lake Geyser Basin, a small isolated basin, is located along Witch Creek at the base of Mount Sheridan and the western shore of Heart Lake. The Langford Expedition in 1870 named the lake and geyser basin. A 5.5-mile trail through a dense lodgepole pine forest leads to a series of five thermal groups that make up the Basin. This is Grizzly territory so be sure to make all the necessary precautions when hiking on this trail. Make a lot of noise on the trail and keep your food out of your tent and backpack and up in a tree when camping. Be sure to keep an eye on your food if you’re fishing or just resting. Yellowstone rangers suggest not wearing the infamous “bear bell” since these bells have been known to instill curiosity in some bears and thus draw them close to the person wearing it. I like to call it a dinner bell. Bring fresh bear spray, it does have a shelf life so buy a new can every year. A friend of min didn’t and he learned a valuable lesson that he has shared with many of us.